Week Ending Sept. 29, 2013. Songs: Lorde, Cyrus…Yikes! Unless you're 12, this is going to make you feel old: The last two acts to top the Hot 100 were both born in the 1990s. Lorde, whose "Royals" climbs to #1 this week, was born Nov. 16, 1996. Miley Cyrus, whose "Wrecking Ball" was #1 the last two weeks, was born Nov. 23, 1992. Billboard's Gary Trust notes that, at 16 years and 11 months of age, Lorde is the youngest female solo artist to top the Hot 100 since Tiffany scored in February 1988 (when she was just 16 years and four months old) with "Could've Been." Lorde is very different from Tiffany, the mall queen of the 1980s, and Cyrus, who has been taking delight in obliterating her squeaky clean Hannah Montana image. Lorde has far more credibility than either of those artists did at the same age. "Royals" spent seven weeks at #1 on the Alternative chart, shattering the record for a female lead artist that was formerly held by Alanis Morissette's 1995 classic "You Oughta Know." I expect "Royals" to receive Grammy nominations for Record and Song of the Year and Lorde to get a nod for Best New Artist. Lorde is the first female artist to take her first Hot 100 hit to #1 since Carly Rae Jepsen scored in June 2012 with "Call Me Maybe." Lorde also debuts at #90 with a new song, "Team." "Royals" holds at #1 on Hot Digital Songs for the second week. It sold 294K copies this week. This is the first time since the week ending June 2 that the week's #1 seller has sold fewer than 300K. Katy Perry's former #1 smash "Roar" holds at #2 for the third straight week. It's #1 on the all-format Radio Songs chart for the second week. (So if it seems like it's on the radio every five minutes, it is.) Perry's other hit, "Dark Horse" (featuring Juicy J), which entered the Hot 100 at #17 last week, should have a decent second week. Digital sales rank: #8 (104K). Cyrus' "Wrecking Ball" drops from #1 to #3. It's #1 on Streaming Songs for a third week. Cyrus has two other songs in this week's top 15. Her recent #2 hit "We Can't Stop" holds at #15. 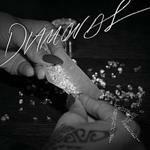 She is also featured on Mike Will Made It's "23," which re-enters the chart at #11. The song, which also features Wiz Khalifa & Juicy J, debuted at #70 two weeks ago before dropping off last week. Drake has 12 songs on this week's Hot 100—all from his album Nothing Was The Same, which enters The Billboard 200 at #1 with first-week sales of 658K. Only one other solo artist has ever had 12 songs on the Hot 100 at the same time: Lil Wayne in the issue dated Sept. 17, 2011. And Lil Wayne's tally that week included two songs on which he was featured (DJ Khaled's "I'm On One" and Kelly Rowland's "Motivation"). Drake is in the lead on all 12 of his charted hits. Drake's highest-charting hit this week is "Hold On, We're Going Home" (featuring Majid Jordan), which jumps from #7 to #4. It's Drake's highest-charting hit as a lead artist since his breakthrough smash "Best I Ever Had" spent three weeks at #2 in the summer of 2009. 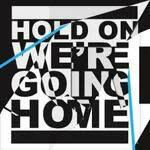 "Hold On, We're Going Home" jumps to #1 on Hot R&B/Hip-Hop Songs. 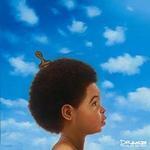 It's Drake's first #1 R&B/Hip-Hop hit as a lead artist since "Best I Ever Had" topped the chart for seven weeks. Here's a stunning achievement: Drake has all 10 of the 10 highest new entries on this week's Hot 100. (As always, I'm drawing a distinction between new entries and re-entries. There are two re-entries this week.) The top new entry is "All Me" (featuring 2 Chainz & Big Sean), which debuts at #20. Digital sales rank: #9 (101K). The next nine highest new entries are "The Language" at #51, "Furthest Thing" at #56, "Too Much" (featuring Sampha) at #64, "Pound Cake/Paris Morton Music 2" (featuring Jay Z) at #65, "From Time" (featuring Jhene Aiko) at #67, "Own It" at #78, "Tuscan Leather" at #81, "Come Thru" at #87 and "Worst Behavior" at #89. Avicii's "Wake Me Up!" dips from #4 to #5. It's #1 on Dance/Electronic Songs for a fourth week. "Holy Grail" by Jay Z featuring Justin Timberlake holds at #6 for the third week. It's in its ninth week at #2 on Hot R&B/Hip-Hop Songs. It has yet to reach #1. It's Timberlake's fourth #2 R&B/Hip-Hop hit. He peaked at #2 on that chart with two collabos with T.I., "My Love" and "Dead And Gone," and one earlier collabo with Jay Z, "Suit And Tie." Will "Holy Grail" ever move up to #1, or will Timberlake have his fourth #1 R&B/Hip-Hop hit without a #1? Place your bets. 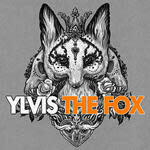 Ylvis' "The Fox" jumps from #13 to #8 in its fourth week on the Hot 100. This is the latest in a series of viral phenomena which also includes PSY's "Gangnam Style" and Baauer's "Harlem Shake." Radio has become more tightly programmed in recent decades, which makes it hard for stations to add something as left-field and high-risk as a novelty record. But YouTube is allowing novelty songs to bypass radio and gain widespread exposure. If you haven't heard it yet, "The Fox" deals with the fact that the fox is one of the few animals where people aren't sure what sound it makes. The song is almost unbelievably stupid, but undeniably catchy. Comments on YouTube the last time I checked express the varied reactions the song provokes. Here are three that sum it up pretty well: "this just made my day," "how high was he when he made this—LOL" and, perhaps most astutely, "stupid is the new genius." Ylvis is a comedy duo from Norway which consists of brothers Baard and Vegard Ylvisaker. They debuted as professional variety artists in 2000. "The Fox" was released on Sept. 3. 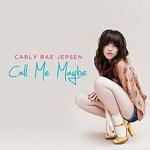 It received 40 million views in its first two weeks on YouTube. The brothers performed the song on The Ellen DeGeneres Show on Sept. 20. Remarkably, this isn't the first novelty song about a fox to reach the top 10, though you have to go back a ways to find the last one. "The Little Red Fox (N'Ya N'Ya Ya Can't Catch Me)" by bandleader Kay Kyser reached #4 in 1940, the year that Billboard introduced its national weekly pop songs chart. Novelty songs have been part of pop music as long as there have been recordings. Spike Jones & His City Slickers were the kings of novelty songs in the "pre-rock" era (1940-1954). They had nine top 10 novelty hits in those years, including the holiday classic "All I Want For Christmas (Is My Two Front Teeth)." David Seville (real name: Ross Bagdasarian) and Ray Stevens are the kings of novelty songs in the "rock era" (1955 to the present). 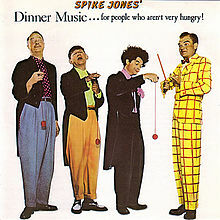 Each reached the top 10 with three novelty songs. Seville wrote and performed The Chipmunks' "The Chipmunk Song" and "Alvin's Harmonica" as well was his own smash "Witch Doctor." Stevens scored with "Ahab, The Arab," "Gitarzan" and "The Streak." Lady Gaga's "Applause" dips from #8 to #9. It peaked at #4. "Applause" is the fourth song to reach the top five that had the same title as a (completely unrelated) Tony winner for Best Musical. (A musical titled Applause, which starred Lauren Bacall, won a Tony as Best Musical of 1970.) The first three were "Memphis," a top five hit for Lonnie Mack in 1963 and Johnny Rivers in 1964 that shared its name with the 2010 Tony winner, Rod Stewart's 1981 hit "Passion" (the 1994 winner) and Madonna's 1985 hit "Crazy For You" (the 1992 winner). The Top Five: Lorde’s "Royals" jumps from #3 to #1 in its 13th week on the chart. This is its fifth week in the top 10. 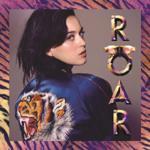 Digital sales rank: #1 (294K)…Katy Perry’s "Roar" holds at #2 for the third week in its eighth week on the chart. This is its seventh week in the top 10. Digital sales rank: #2 (239K)…Miley Cyrus' "Wrecking Ball" drops from #1 to #3 in its sixth week on the chart. This is its third week in the top 10. Digital sales rank: #3 (221K)…"Hold On, We’re Going Home" by Drake featuring Majid Jordan jumps from #7 to #4 in its eighth week on the chart. This is its fourth week in the top 10. 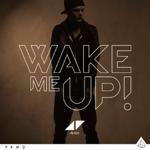 Digital sales rank: #13 (80K)…Avicii’s "Wake Me Up!" dips from #4 to #5 in its 14th week on the chart. This is its sixth week in the top 10. Digital sales rank: #4 (182K). The Second Five: "Holy Grail" by Jay Z featuring Justin Timberlake holds at #6 for the third week in its 12th week on the chart. It has been in the top 10 the entire time. Digital sales rank: #7 (123K)…"Blurred Lines" by Robin Thicke featuring T.I. + Pharrell drops from #5 to #7 in its 24rd week on the chart. This is its 18th week in the top 10. 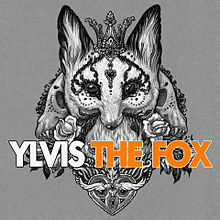 Digital sales rank: #11 (89K)…Ylvis' "The Fox" jumps from #13 to #8 in its fourth week on the chart. This is the duo's first top 10 hit. 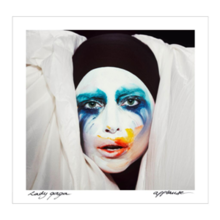 Digital sales rank: #15 (73K)….Lady Gaga’s "Applause" dips from #8 to #9 in its seventh week on the chart. It has been in the top 10 the entire time. Digital sales rank: #6 (133K)…"Summertime Sadness" by Lana Del Rey & Cedric Gervais dips from #9 to #10 in its 12th week on the chart. This is its sixth week in the top 10. Digital sales rank: #10 (99K). Capital Cities' "Safe And Sound" drops from #10 to #12. This is the third time it has fallen out of the top 10. Eminem's "Berserk" drops from #11 to #13 in its fifth week. The song has climbed as high as #3. Digital sales rank: #5 (134K). 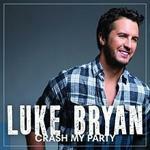 Luke Bryan's "That's My Kind Of Night" holds at #16 for the second week in its seventh week. The song has climbed as high as #15. It's #1 on Hot Country Songs for the seventh week. That's the longest run for a song by a male solo artist since Tim McGraw's "Live Like You Were Dying" spent seven weeks on top in the summer of 2004. AWOLNATION's "Sail" jumps from #20 to #17 in its 56th week…One Republic's "Counting Stars" jumps from #28 to #22 in its 15th week…Thomas Rhett's "It Goes Like This" jumps from #34 to #25 in its 16th week…Jason Aldean's "Night Train" jumps from #32 to #26 in its 13th week. 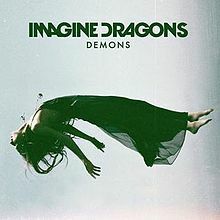 Imagine Dragons land their third top 30 hit as "Demons" jumps from #46 to #28 in its 23rd week. Will it follow "It's Time" and "Radioactive" into the top 15? Stay tuned.…"Love More" by Chris Brown featuring Nicki Minaj jumps from #38 to #31 in its 10th week…Bruno Mars' "Gorilla" jumps from #50 to #37 in its fifth week…Passenger's "Let Her Go' jumps from #44 to #38 in its ninth week…Future's "Honest" jumps from #80 to #68 in its third week…Parmalee's "Carolina" jumps from #93 to #84 in its second week. 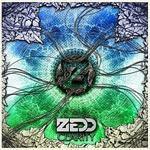 "Stay The Night" by Zedd featuring Hayley Williams re-enters the chart at #86. The song debuted at #51 two weeks ago before falling off. "Clarity," Zedd's hit featuring Foxes, reached #8. This is the sixth different song titled "Stay The Night" to crack the Hot 100. The previous chart songs with that exact title were by Chicago (#16 in 1984), IMx (#23 in 2000), Benjamin Orr (#24 in 1987), Faragher Bros. (#50 in 1979) and James Blunt (#94 in 2011).